If Jeff Bezos has his way, you won&apos;t need to buy a case for your future mobile phones. 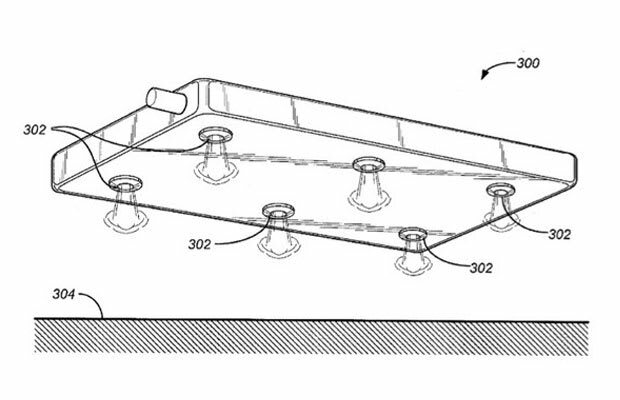 The Amazon CEO has patented a new "damage avoidance system" that will use your phone&apos;s accelerometer to detect if your phone is falling, and then deploy an airbag system to cushion its fall. The patent, which was awarded back in February, suggests that the system could also use jets of gas to slow your phone&apos;s fall, or a laser rangefinder to measure how fast it is falling.